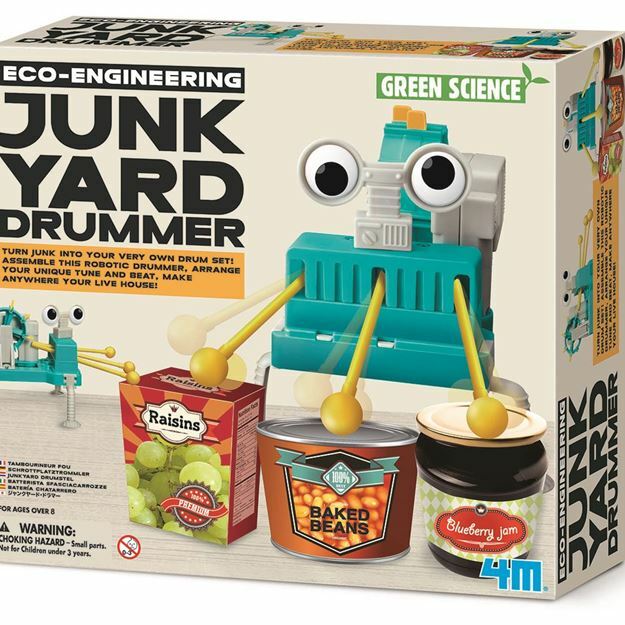 Turn used drinks cans, cartons and more into a drum set for this unique 4M robotic Junk Yard Drummer. Program it with your own beats and rhythms. Includes: a set of plastic parts assembling the beat generator, drum sticks, motor, battery case, gears, accessories and detailed instructions. Required: 2 1.5V AAA batteries and a small crosshead screwdriver (not included). Age 8+ years. Part of the Eco-Engineering range. Distributed in New Zealand by Holdson.